solluxcaptor (29 dias atrás) #55160027Nice loot! I'm a little curious about this part "It's really handy especially since I get to participate in box splits with JP sellers", could you explain how you do this? I use FJ too and I'd love to get in on box splits with JP sellers. You'll see they've already marked items that are unavailable. 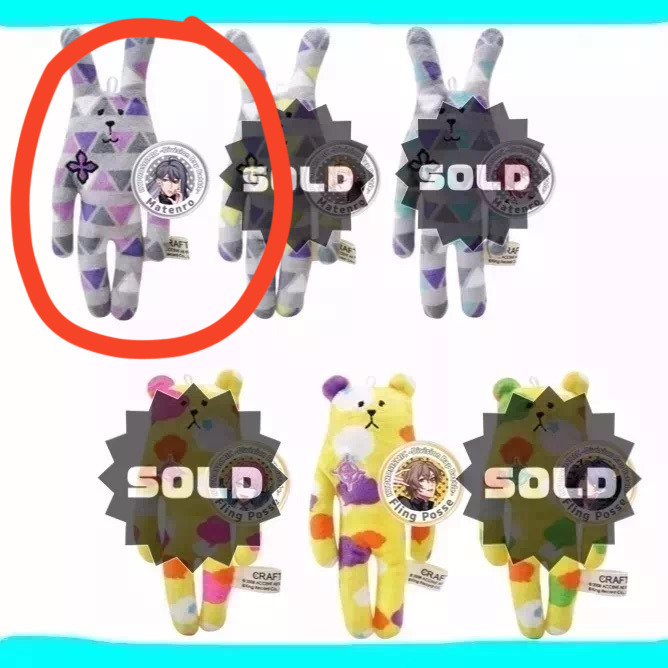 Maybe they're taking it for themselves or some other user has already claimed dibs, either way only the unmarked ones are available -- in this case, Jakurai and Gentaro. Sometimes the main images aren't marked so you'll have to check the description. They'll either have "売り切れ/SOLD OUT" next to the character's name or they'll only list characters who are still available. It helps to know the character's name in kanji, or just do it like me and copy-paste the names from the wiki ;D Google Chrome's Translate to English option helps, too! Then I'll click the orange Buy using FJ! button. The FromJapan page has necessary terms and conditions right on top in red font, best to read and understand that before proceeding. Once done, click Apply. You can still Edit/Delete the comment after this but if it's all good then we continue. In case the seller's main image isn't marked -- or if you want to be really sure that they'll get the right item since we can't expect the FJ staff to know exactly what we're talking about at all times -- you can upload a picture. There's a Select file button under the comment portion. To indicate the item, copy the photo from Otamart then paste it on MS Paint. Then encircle it using a really standout color (I use red or neon green). Save this and upload it on FJ. There's a Quantity option right beside the Request a price quote button and that's usually fine if you're just getting one item from the seller. But if you're getting multiple items, you'd better list them in the Comments to be sure. Once you Request a price quote, just wait for FJ to send the Charge 1 notification. If there are no problems with the seller, you'll get the notification within the day and FJ is pretty quick in contacting the seller once you've paid for Charge 1. However, there are cases where the seller has conditions for getting certain items. For example, I want to get Jyuto from this split. The seller has listed the characters available with symbols before the name, like Jyuto -- ☆銃兎. Symbols indicate buying conditions and FJ staff are better at reading this than I am, though I can usually get the gist of it. FJ will then send you a notification regarding your order. Let them know if you'll choose to continue the purchase by including the additional item (Saburo) as required by the seller. Or you can ask FJ to cancel the order if you'd rather not have to deal with an extra item. Once everything proceeds -- Charge 1 paid, Otamart seller has marked your chosen item as sold -- you just wait for the item to arrive. On-hand items take about a week from the day the seller ships it out but if it's a Pre-Order, just remember the item's release date. Ship out date can be a few days after that, depending on when the seller gets your split set. One last thing!! Otamart sellers usually take down split pages once all the items are taken so don't be surprised if you're checking on your Shopping List and the item link leads to an error page. So long as FJ has marked your order as Ordered - Waiting for Arrival, you're good. I'm really hoping for scale figures, it bothers me that idol or BL series always get nendos before scales, if the series has become so popular, so quickly, which seems to be the case, I think they'll get scale figures even if only prize, and I'll be there pre-ordering like crazy. Also I've recently become a BIG Haikyuu fan. So pretty cool in my book. illumi4Love (1 mês atrás) #55091070Your excitement is bleeding through this post, and I love it. I'm not into the idol series thing, but there merchandise fits well into my collection, as I currently only collect appealing male figures, and I'll admit to scanning info about this series in the hopes for figures or magazines like spoon2Di featuring the characters, currently really love Jinguji Jakurai design and merch. Its nice to have series like this and its fans, as I really do like all the fun that goes along with the male characters. Nice loot! I'm a little curious about this part "It's really handy especially since I get to participate in box splits with JP sellers", could you explain how you do this? I use FJ too and I'd love to get in on box splits with JP sellers. Your excitement is bleeding through this post, and I love it. I'm not into the idol series thing, but there merchandise fits well into my collection, as I currently only collect appealing male figures, and I'll admit to scanning info about this series in the hopes for figures or magazines like spoon2Di featuring the characters, currently really love Jinguji Jakurai design and merch. Its nice to have series like this and its fans, as I really do like all the fun that goes along with the male characters.